While processed foods are likely to blame for higher salt intake, it is encouraging to know that kids are eating healthier! Looking for healthy snacks for your kids? Check out this list! 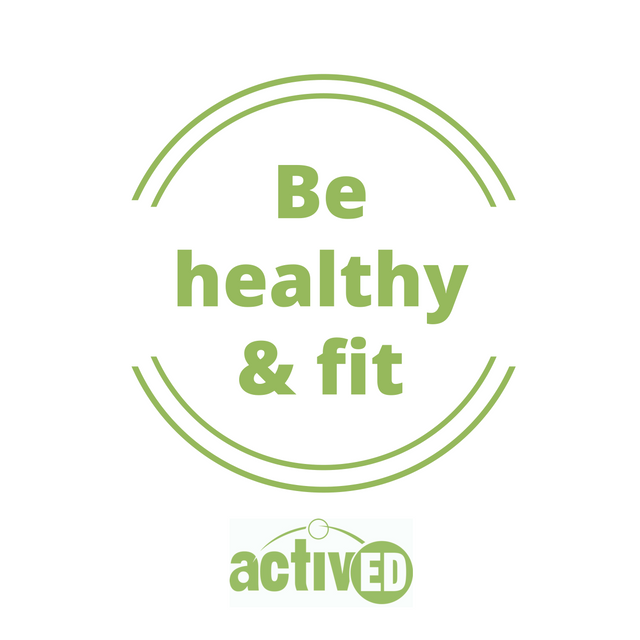 Being healthy requires healthy food choices and regular exercise. That's where ActivEd can help! Learn more! Yesterday, we celebrated a national day of Thanksgiving. Celebrating what we are thankful for is important. Most of us are grateful for our health and the health of our loved ones. As we settled around the table, how many calories did we consume? More importantly, how much exercise do we need to burn off those calories? Check out the infographic from Active.com for an overview. Looking for a way to get your kids active after a big Thanksgiving meal? ActivEd can help. Learn more! Childhood obesity is an epidemic in the United States—1 out of 3 children are obese. Obesity leads to problems such as diabetes, heart disease, and asthma. Health officials are looking for unique solutions to help curb obesity. The U.S. Preventative Services Task Force has produced new guidelines that urge pediatricians to begin screening children for obesity at the age of 6. The task force has been examining successful programs to help children keep a healthy weight. The authors of the proposed guidelines are under no illusion that universal obesity screening will be a silver bullet. Even the best programs to modify kids’ behavior resulted in only a “moderate” benefit, they wrote. But the downside risks of screening are “small to none,” they wrote. Healthy kids are more likely to succeed academically and to have higher self esteem. Looking for creative ways to keep your students active? Walkabouts helps prekindergarten through second grade students move while they learn language arts, reading, and math concepts! Want to find out how Walkabouts can help keep your students healthy? Learn more! Be healthy & fit Friday: Dinner and TV? What effect does leaving the television on during meals have on the health of your family? Researchers from the University of Minnesota recently found out. Families that eat with the TV on eat less healthy meals and enjoy their meals less than families who turn off the television off during meal times. Of the 120 families that took part in the study, 33% of families turned off the TV off during all meals, and 43% of families left the TV on during all meals. The bottom line: turning off the TV and focusing on your family will help everyone enjoy the food and each other more!